Jeff has been an integral part of Allen Organ Studios for over 25 years. His interest in organs began at age 6 studying piano and organ for many years. 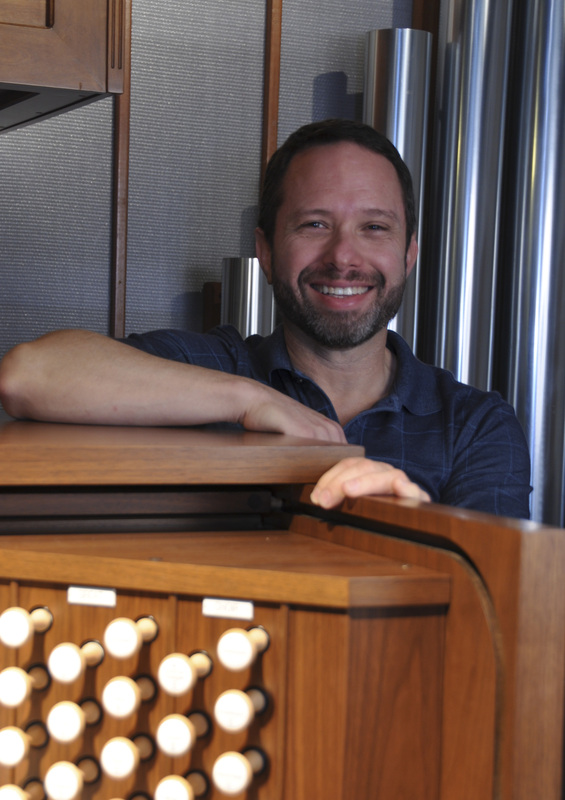 Jeff started with Allen installing instruments for the Allen Organ Company while he was a student at East Carolina University majoring in Church Music. He has played organ and conducted choirs in churches of most major denominations. Today, Jeff has designed and installed more organs in Georgia and Tennessee than any other individual. His business ethics, organ design experience and organ knowledge are hallmarks that have made him among the most respected in the organ industry and church music circles. For the past 20 years, Jeff has served on staff at Virginia Highland Church in Atlanta. He has held the title of Organist, Director of Music and is currently the Director of Worship. He is also proud to serve as chair of their Deaconate. Oscar’s association with Allen organs in the US started in 1978. Oscar, Dorothy (his wife) and 5 children came to the US in 1978 from Jamaica, his native land. Prior to entering the US, he and Dorothy served the Jamaican government as representatives in England. Oscar studied at Oxford and is indeed a fine organist. As a US citizen, Oscar filled a technician opening at AOS and today remains among the top organ technicians of Allen organs world-wide. His musicianship, skill as an Anglican organist and technical experiences with pipe organs in his early years are indeed an asset to his customers today. Oscar headed our technical department insuring that customer service remains a top priority of AOS. Attending yearly seminars, he keeps up-to-date on all Allen organs. His many years of experience, authentic English accent and charismatic personality, make Oscar a favorite with all AOS customers. Alan was born in California and moved to North Carolina at an early age. He attended UNC Charlotte receiving his degree in 1988. He earned his computer electronics technology degree from ECPI. As a technician for Circuit City and Alltel communications, Alan’s move to the engineering and technical needs of the organ business was a given. He joined AOS in 2000 and plays a vital role in customer support not only as a technician but also as our MIDI specialist. Alan heads our transit operations and our installation team. He has developed our Allen Audio program specializing in small high-end PA (sound systems) with user friendly interfaces. As a musician, Alan also possess the skills to make proper tonal adjustments after technical repairs are complete – and these skills are rare among organ technicians. His installations and ‘attention-to-detail’ exemplify our philosophy of making the visual as beautiful as the sound. Joe Hill is a native of Georgia and has served as organist for several churches in both the Atlanta and Central Georgia area over the last 20 years. He is currently the organist for Evergreen Church in Peachtree City. He became part of the AOS team in May of 2013. Joe has an extensive knowledge of pipe organs along with their voicing and tonal properties. He currently helps other members of the staff in keeping our pipe/digital combination installations in tune and properly voiced throughout the year. Bruce is a native of Michigan. Growing up in the Phoenix area, he studied music at Arizona State University. Bruce attended High School in Escondido, California, and then to Chicago attending Sherwood Music School. His organ skills were further developed studying at Andrews University. Bruce moved to Chattanooga in 1969 serving Central Baptist Church Woodmore and First Cumberland Presbyterian where he has been organists for 33 years. Bruce has been associated with Allen organs since 1971. He is well know in Tennessee not only as a superb musician, but as a friend to so many. Bruce is a caring individual that is always helping others in so many ways. He and his wife Peggy (a local pediatric nurse) have three children. Ronald Carter, a member of the American Theatre Organ Society and on the Board of Directors of the Atlanta Chapter, has presented numerous theatre organ concerts and silent film accompaniments throughout the southeast. He is a graduate of Georgia State University and recently retired as a Commander with the Georgia Bureau of Investigation with over 38 years of public law enforcement experience. At age seven (7) Ron began accordion lessons and soon became interested in the piano and organ. He studied under Glenn Moffet and with the Anderson School of Music in Atlanta. He has served four churches as organist/Music Director for the last 40 years and is currently the organist, Music Director for the Hiram First United Methodist Church. 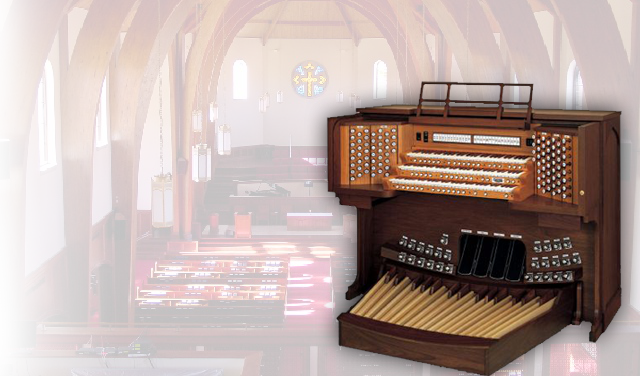 Ron’s vast experience with theatre pipe organ and more recently digital counterparts makes him a favorite consultant for those considering the purchase/installation of a theatre organ. 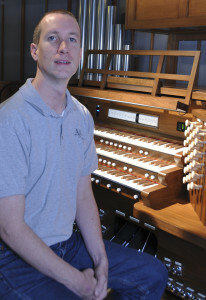 He is currently the house organist for the Callanwolde Fine Arts Center in Decatur, Georgia where he is responsible for the 60 rank Aeolian Residence Organ. As an organist for silent movies, Ron is constantly in demand through the US. He has been married to Donna Sharon Carter for 39 years and they have one son John, daughter-in-law Julie and two precious grandchildren Abby and Jake.